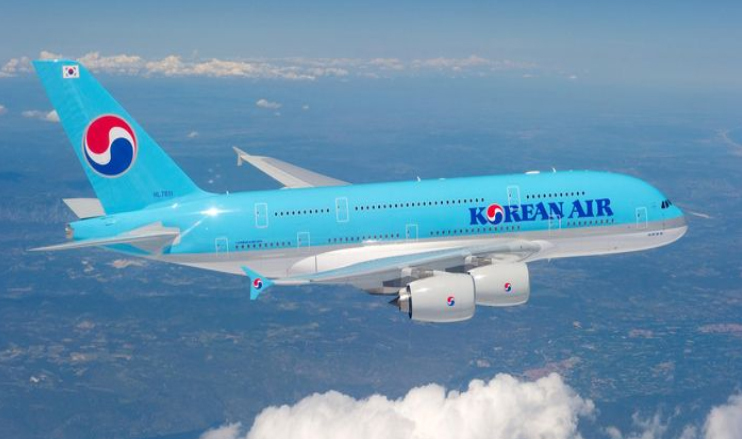 Korean Air began in 1962 as Korean Air Lines, the national carrier of South Korea. Now privatized under the Hanjin Transport Group, it is one of the largest airlines in Asia. In September 1983, Soviet fighter planes shot down Korean Air Flight 007, a 747, which was on a New York-Anchorage-Seoul flight, on the Anchorage to Seoul segment. All 269 people on board were killed. The civilian airliner went hundreds of miles off course and passed over restricted Siberian territory. The event was denounced by the US as a deliberate and wanton act of murder by an "evil empire." As of July 2017, the Korean Air fleet consists of the following aircraft: 29 A330's, 10 A380's, 39 B737's with 30 B737 Max8's on order, 13 B747's, 38 B777's, 4 B787's with 7 more on order, and 10 Bombardier CS300's on order.